Back in the 1970s, with the number of US breweries at an all time low outside Prohibition and the country awash with big brand lager, the future wasn't looking great for small brewers. But San Francisco’s Anchor Brewing was daring to be different. On the back of the now famed Anchor Steam, the archetypal example of the California Common beer, the historic brewery morphed into one of the icons of the modern American craft beer industry. And it proved, if nothing else, that you don't have to accept the status quo; that people choosing to vote with their palates and wallets could create positive change that benefitted many and harmed none. Those heady days of San Fran’s hippie revolution may be long gone but the underlying principles remain. And, with the world once again being in a state of general tumult, you could do worse than look back to those years following the Summer Of Love for a bit of guidance. 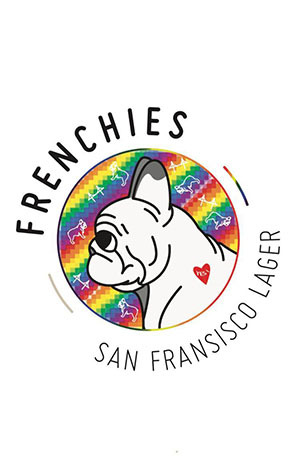 And that’s what Frenchies has done as they pay homage to history and change with their San Fransisco Lager. Their take on the Anchor Steam beer, this is an amber coloured lager brewed with an ale yeast. It’s a beer where the malt is deep and dominant, putting forward toasty, woody and slightly nutty characters. They’ve used the quintessential Northern Brewer hops to add an earthy and spicy character, plus a dash of Cascade which has given a light citrus squeeze and offers a bitterness that’s relatively gentle but lingering. The San Fransisco Lager is unquestionably darker and different to most any lager you’ll find from a mainstream brewery but it proves that, more than four decades after the beer style began again rising to prominence to break the status quo, it’s still OK to be different. When others say no, you can vote yes. Change can be good. Being different is OK.